In 1947, Bill Wood and Les Pickett left their jobs at London's top-notch coachbuilders Hooper & Co to start their own business, in the early days operating from Bill Wood’s living room. The company grew and Wood & Pickett relocated to Abbey Road, Park Royal, London, which was then home to most of London's coachbuilding industry. It wasn't until the 1960s, however, that the company was established as Wood & Pickett Ltd, and became well-known within the general motoring community as a result of their decision to specialise in meeting the increasing demand for highly-luxurious Minis that had sprung up in the wake of Radford's 1963 Mini de Ville. Wood and Pickett developed their own uprated Mini model, known as the Margrave, featuring a distinctive leather & walnut fascia panel, leather or Dralon seating and front and rear nudge bars, to which customers were invited to add from a long list of individually-priced options. Radford adopted a similar approach in 1965 when they launched their Mini de Ville GT, but by then Wood & Pickett were providing tough competition, and the following year they managed to bag Radford's managing director, Len Minshull, and head of marketing, Eddie Collins, along with some of the company's most valued customers. The late Sixties saw Radford in decline while Wood & Pickett were going from strength to strength, and it was to the latter company that Harold Radford himself turned in 1967 when he wanted his Triumph 1300 upgraded. 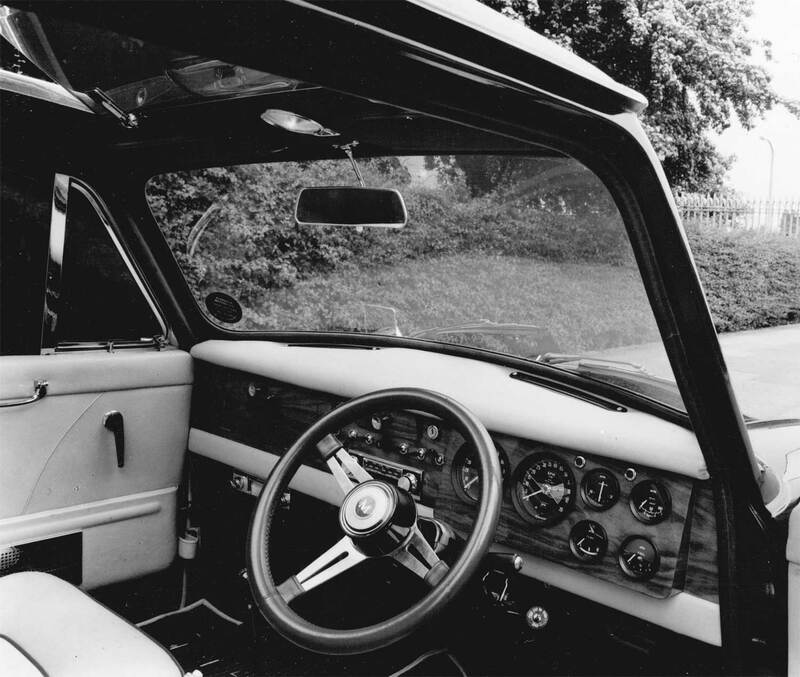 Under Collins' leadership as managing director, the Mini remained the main focus of Wood & Pickett's attention throughout the 1970s, although as the decade progressed they also became well known for their many Range Rover-based models and would later assist BL in creating the influential "In Vogue" special edition. Alongside this regular work, the company continued to take on one-off and low-volume commissions. Towards the end of the Seventies, the company moved to larger premises in Victoria Road, South Ruislip, and in 1980 they added the upmarket Rover SD1 Prestige to their repertoire. 1980 also saw the launch of the Metro, of course, and Wood & Pickett wasted little time in devising two uprated versions, known as the Metro Plus and the Laser. The following year (during which Messrs Wood & Pickett left the company) saw the completion of the one-off TR7-based TRZ for a competition being run by the Sheaffer pen company, and during the mid-Eighties they also produced and marketed interior upgrade packages for the Montego. In 1986 the company was purchased by Henlys, one of BL's major franchised dealership chains, and relocated to St Albans in Hertfordshire. Under Henlys' ownership, greater emphasis was placed on the highly-profitable Range Rover conversions, with many commissions being taken from Middle Eastern customers in particular, until Henlys sold the company to entrepreneur Mike Bush in 1989. Operating from new premises at Epsom, Surrey, Wood and Pickett continued to undertake bespoke conversions during the 1990s, and also established a Parts and Accessories division which was initally operated under franchise by Moss International. Later that decade the company was acquired by its current “custodian” Mike Standring, who again initially ran the company from an office based at home in Leatherhead. After a short time based in West Sussex, the present Wood & Pickett company has been relocated to its current and permanent home in Leatherhead.